Jai Shree Krishna and welcome to our very first Newsletter for 2019. We hope everyone had a good 2018 and the New Year has started well. Your LCFT Committee is looking forward to this year and we have planned lots of exciting and fun events which will be posted in the upcoming Newsletters published through our website. We encourage everyone to visit www.mylohana.com for regular updates. We would like to thank all the Community Members and Friends for your overwhelming support last year and we look forward to another fruitful year. 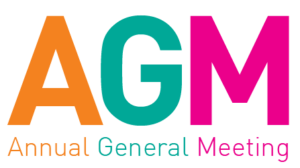 Our AGM is scheduled for Sunday February 24th 2019 at the Mississauga Ram Mandir between 2PM and 4PM and we look forward to everyone attending the AGM. We will be presenting 2018 financials, elections for 2019 Board (please read below if you wish to present yourself for an elected post) with elect individuals or teams presenting their plans for 2019, and we will be proposing a couple of constitutional changes. Light Refreshments will be served on the day, and parking will be available. As per the last AGM, sufficient and timely notice is hereby given for the following changes to be proposed at the forthcoming AGM. Annual membership dues shall be as determined by the Executive by resolution to be ratified by a simple majority at a General Meeting having regard to membership categories outlined in the By-laws. A Life Member may choose not to pay the partial annual membership due, noted above, for any year. In this case, the Life Member will be deemed to be an unpaid member for that year; and the event-based charges payable by a Life Member that has not paid partial annual membership dues shall be the same as for any other Lohana that has not paid annual membership dues. We have not had an auditor for the past several years and looked for one in the current year. At the Annual General Meeting an Honorary auditor shall be appointed. For those who are interested in becoming elected for a Board position, volunteering or joining the LCFT team in any format, please drop us an email at info@mylohana.com , or please feel free to contact any current Board member to learn more. All are welcome! It’s a New Year and lots to look forward to as a community. Our Annual General Meeting is approaching, and this is where we will get a chance to start planning for the exciting events for 2019. We can’t wait to see you all and hear your ideas and input for the ensuing year! LCFT is seeking an auditor from the community or friends circle who can offer their services to audit our accounts (ideally pro-bono). Please contact our Treasurer, Sheetal Dave on info@mylohana.com if you can help. We encourage everyone to pay their Annual Membership dues per family household in 2019. Membership year runs from January 1st 2019 to December 31st 2019 and the annual due amount for all members will be proposed at the AGM, and will be due following confirmation of the due amount, so we request you attend the AGM to have your say! Paying your membership dues in time assists the LCFT Board to plan and budget for the annual events in a timely manner, which in turn provides an enjoyable experience for all. Thank you for your understanding and support!